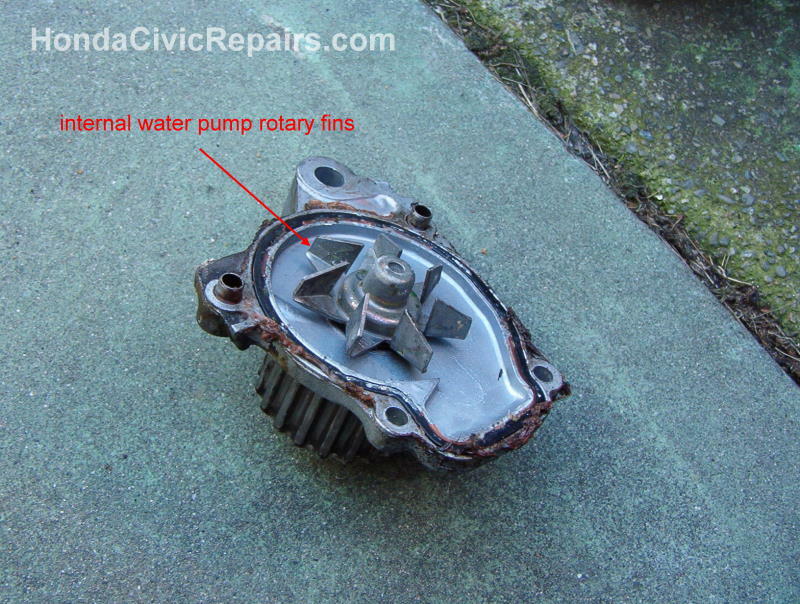 Looks like the water pump for my civic couldn't last more than 60,000 miles. The first signs were subtle sounds of soft scraping metal coming from somewhere on the top or side of the engine. My initial suspects were the valves and figured I should think about adjusting and tuning them back to their proper measurement gaps soon. A few days later, it was clear that my assumptions weren't quite right. The subtle sounds of soft scraping metal eventually turned into louder grinding sounds of metal anytime I accelerated. When I peered down the bottom under the timing belt covers, there were wet signs of liquid coolant trailing down onto the floor. 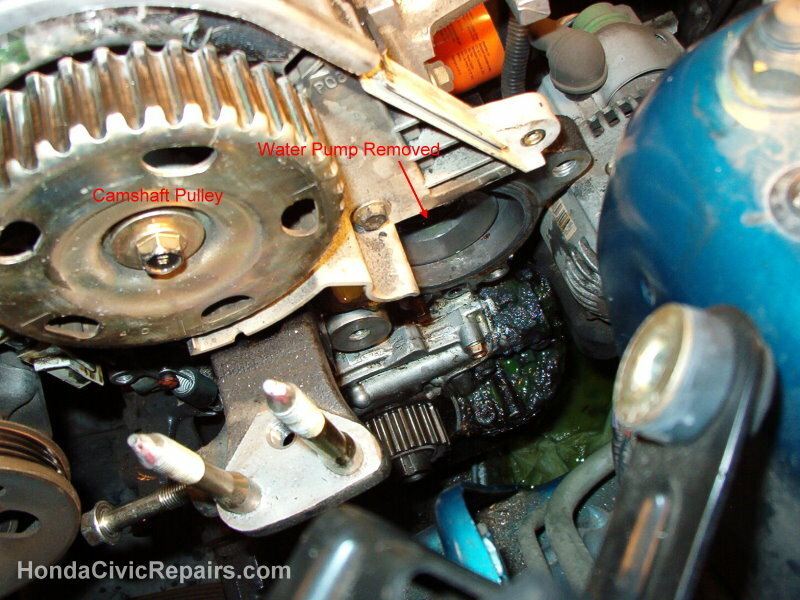 At that point, it was clear that my water pump responsible for circulating the coolant through the engine had finally worn out and the sound I was hearing would likely have been the worn out and damaged bearings for the water pump gear. So off I go to the car parts store for a new water pump. 1. Followed all of the steps from 1-12 described under Changing the Timing Belt journal section. 2. Marked the edge of the timing belt and gears at the top camshaft and bottom crankshaft gear with a tiny dab of white paint. 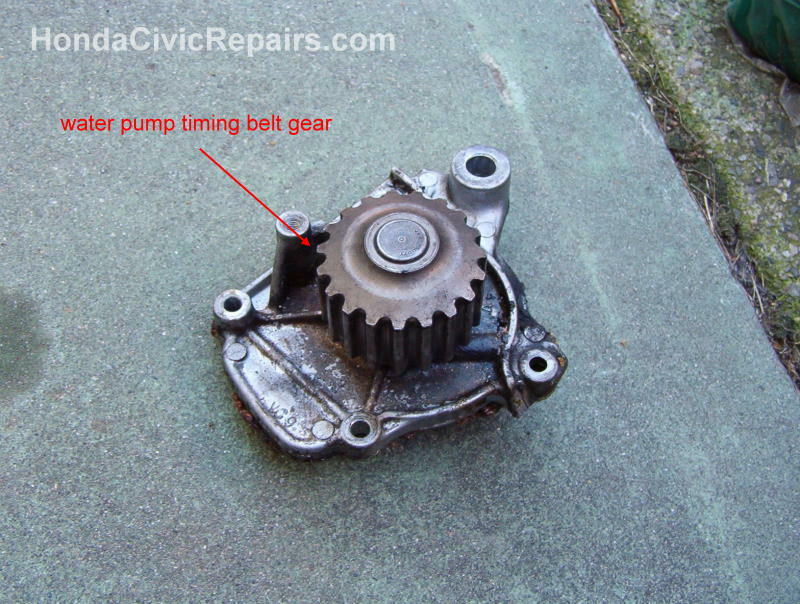 This would help me re-align and return the timing belt exactly the way it was prior to removal. 3. Loosened the bolt to the timing belt tensioner and removed the timing belt. 4. Slid a pan underneath the bottom of the timing belt. 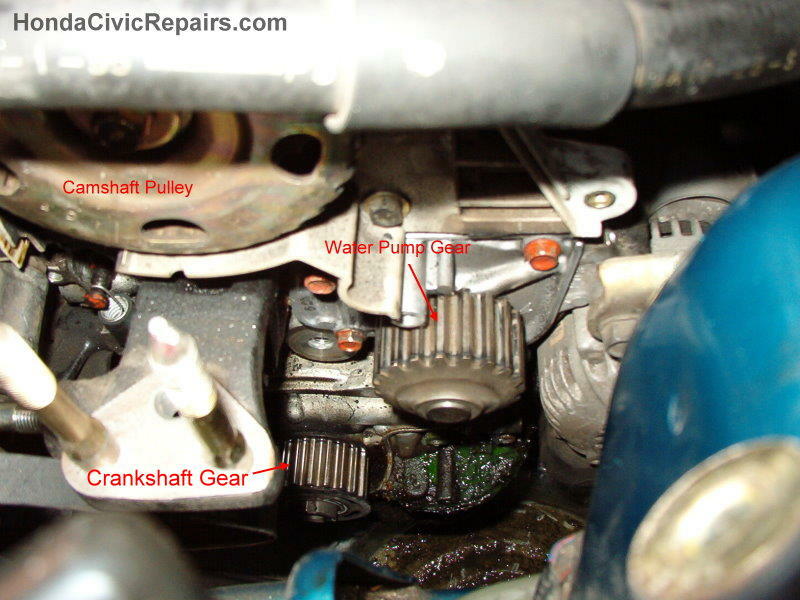 This will help catch some of the coolant that will spill out of the water pump during removal. 5. Removed all the bolts holding the water pump. Including the bolt that holds the alternator. 6. Installed and bolted on the new water pump. 7. Re-installed the timing belt while adjusting the position of the timing belt to the white paint marks I left as a guideline. Tightened the bolt for the timing belt tensioner to the proper torque specs. 8. Followed all of the steps from 14-19 described under the Changing the Timing Belt journal section. 9. Then skipped a few steps and continued from 26-33 described under the Changing the Timing Belt journal section. 10. Finally, I refilled the radiator with coolant through the radiator cap - not through the coolant reservoir. 11. Last but not least, took it around the block for a test drive to get the coolant circulated throughout the engine. Now, it sounds good as new!